Registration for our 28th anniversary celebration and annual fundraising banquet is now open, and we want you to join us!!! This will be our best event ever! The banquet will feature Nordy’s BBQ to cure your appetite, bottomless beer cups to quench your thirst, and raffles and auctions to keep you on the edge of your seat! Register by February 18, 2019 to take advantage of the early bird specials and the free early bird raffle for $300 cash. Don’t delay… this event will sell out! 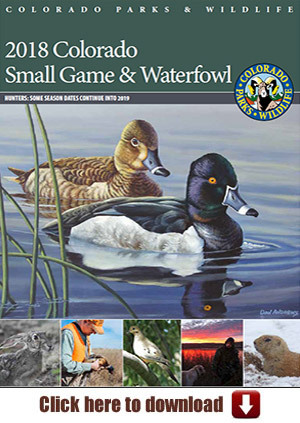 We don’t want you to miss Colorado’s favorite Pheasants Forever banquet. See more below for a sneak peak of items, our super raffle, and more! Sponsorship is a great way to make a difference and gain recognition within the community. 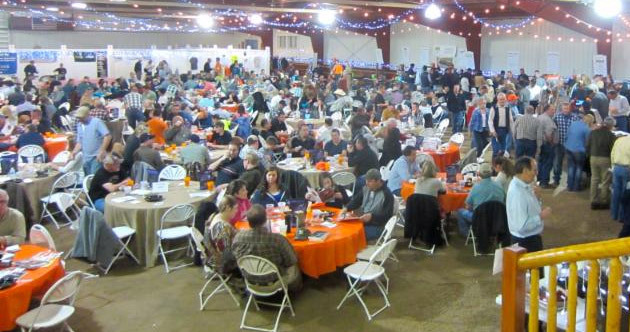 Support the largest Pheasants Forever banquet in the state. Click here to download our Sponsorship Opportunities – and learn more now! BANQUET INVENTORY IS SURE TO IMPRESS!!! We have begun securing amazing items for this year’s banquet. Below is only a sample of what will be available. Guns, Guns, Guns… At least 30 (and closer to 40) will be available via raffle or auction! You won’t be disappointed by this list! All paid adults registered by February 18, 2019 will be entered into a drawing for $300 cash! SUPER RAFFLE TICKETS – SOLD OUT! Tickets to the 2019 Super Raffle are SOLD OUT!!! This year’s raffle will blow you away and includes 15 great prizes! The grand prize includes a gorgeous 40gun safe, a Browning A5 Camo 12GA shotgun, a Henry Golden Boy 22LR, and an RTIC 45-quart cooler! If that doesn’t get you excited, there are 14 additional guns that will. See our website for details. Hurry, only 600 tickets available. Price: $50/each, 3 for $100 – Need not be present to win. The drawing will be held during our 2019 banquet on March 2nd. Unfortunately, raffle tickets purchased online cannot be co-mingled with other purchases. Sorry for the inconvenience, but please don’t let this defer you. SUPER RAFFLE tickets have SOLD OUT!